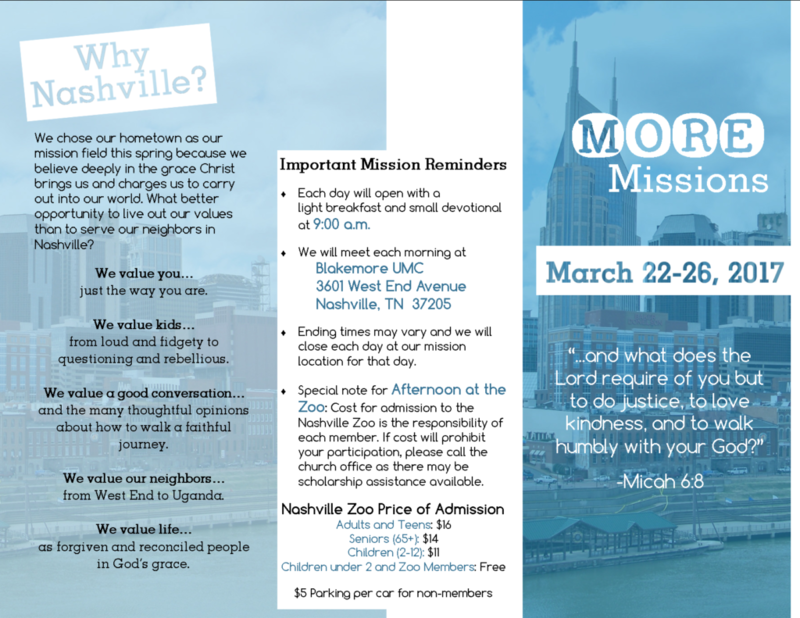 Please read the online brochure below for more specifics about our upcoming MORE Missions Week! To register for any or all events, please click this link. 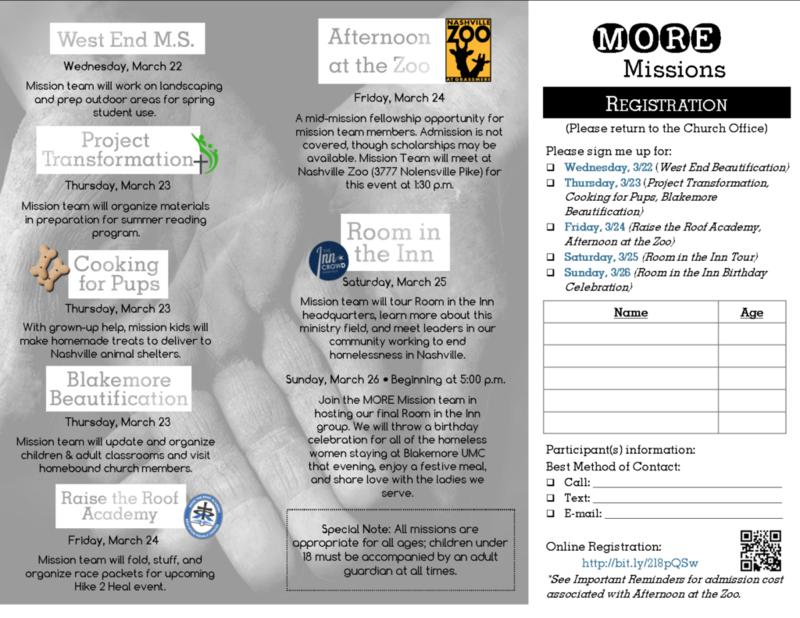 E-mail any questions to info@blakemoreumc.org or see Kristi Walker.